Vipul Mistry from Mumbai, Diploma Graduate. Working for : Everything Label Ind. Currently working as Sr. Graphic Designer at Everything Label Ind. are one of expert skill area's of Vipul Mistry . 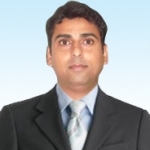 Vipul Mistry is working in Others industry.